61 Rooms/Suites Available – Pool, Steam Room & Exercise Room – Free High Speed Internet – Complimentary Express Start Breakfast – Meeting Room – In Room Coffee – IHG Rewards Club – Pet and Smoke Free. 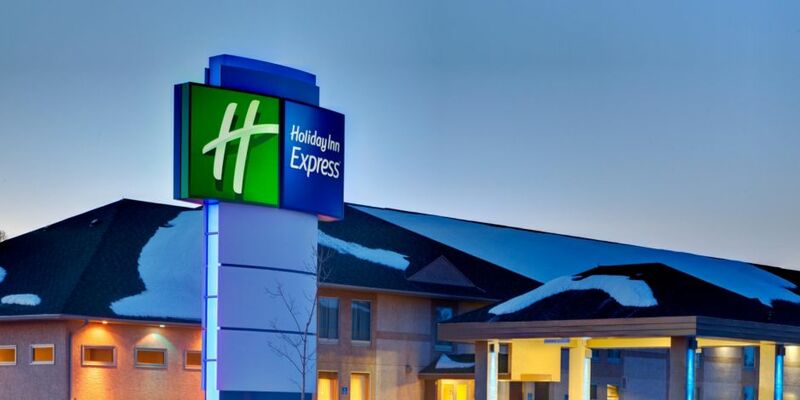 Escape to beautiful Ontario and enjoy a relaxing vacation at the 100% Nonsmoking/Pet Free Holiday Inn Express Hotel – Dryden, Ontario. 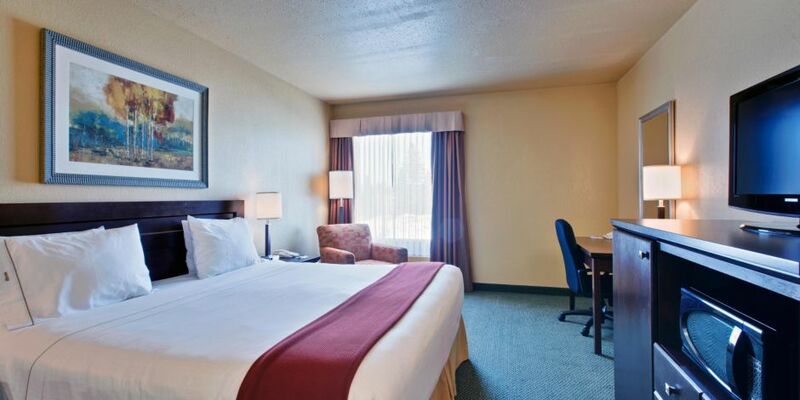 Our hotel’s location is convenient to the Dryden Regional Airport (YHD) and the Trans-Canada Highway. From the many area parks to Dryden Ski Hill, you’ll find a variety of attractions surrounding our hotel. Dryden’s official mascot, Max the Moose, greets you at the Dryden Information Centre. You can cheer for the Ice Dogs at the Dryden Memorial Arena or tour the Dryden & District Museum, 1.5 km from our hotel. Dryden also has numerous outdoor attractions year-round, from canoeing and hiking to skiing and snowmobiling. We’re also convenient to numerous businesses, such as Domtar Mill and Woodlands Operations, the Ministry of Natural Resources Fire Center, Dryden Regional Health Centre and the provincial court and government system in downtown Dryden. Our hotel’s guests are welcome to utilize the 24-hour internet centre and 80-square metre meeting room. EAST OR WEST TRANS CANADAY HIGHWAY 17 TO DRYDEN. EAST END OF TOWN. FROM SOUTH: HIGHWAY 502 TO HIGHWAY 594 EAST TO HIGHWAY 17. EAST .05 KM. Best hotel available in Dryden. Second stay this summer with 2 more to go. Staff was friendly and helpful...willing to make coffee early for us. Would highly recommend staying here! !